Whorton Bend-Water's Edge-Master planned River Park Community w/ Subdivision Entrance, Common Green, Play Park, Sidewalks, Street Lights, Neighborhood Water Access & Pier, curb/gutters. Custom built, meticulously designed by local architect. 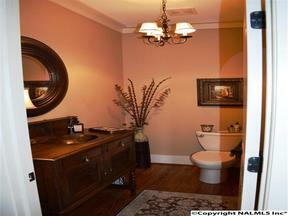 No expense spared in this 3BR, 2.5 BA, showplace. Stone entrance w/gas lights, double front doors, two story foyer w/wood and wrought iron staircase, formal dining room w/ columns, great room w/fireplace and soaring ceiling, granite kitchen w/island, stone/pebble backsplash, SS appliances, farm sink, butler pantry w/copper sink & glass front cabinets, breakfast room, master suite w/his & her granite vanities, soaker tub/sep shower.